We use a variety of orthotic making techniques and technologies dependent on your requirements. means that flexibility (ie bounciness) can be built into the plate resulting in in-built shock absorption and improved comfort. 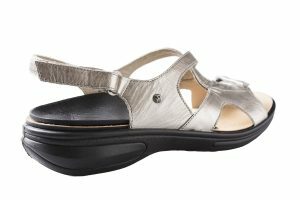 As these inserts are custom made to exactly address your foot and problems, they are the most potent but also the most costly of the orthotic options. See image 1. Your foot contour is scanned electronically to create a perfectly accurate 3D model of your foot. The imperfections that have caused your problems are corrected using this digital model. This then gives us a ‘virtual foot’ that is aligned how your foot would be if it was structurally perfect. The resultant orthotic device will support your foot in this perfect position while still allowing the normal movements required to walk. Well designed CAD-CAM orthotics can impart a range of benefits. The most important reason we choose to use this method is that CAD-CAM orthotics are routed out of a block of polypropylene rather than formed from sheets of the same material. This means that instead of choosing between 4 mm thickness or 5 mm thickness, your orthotic can be customised to give you exactly the level of support you require – no more, no less. This is what most people mean when they refer to a ‘soft’ orthotic. As with all of the choices listed here, there are pros and cons. The upside being that an EVA orthotic *can be* nicer to run or jump on that a more rigid plastic orthotic. The main downside is their bulk, making them unsuitable for many women’s shoes. Our clinics offers three orthotic options where cost is an important factor. The Component Orthotic: Prefabricated orthotic parts are selected and combined to bring about the best possible fit without being custom made. The advantages: Cheaper and quicker. The disadvantages: Results in a fairly chunky orthotic, not suitable for sleeker shoes. We cannot alter this plate thickness to provide shock absorption. The ‘Pedograph‘: Using 14 measured variables, a computer program will create a model of your foot. This model is very close to what would be imaged by plaster casting or 3D scanning, but in not exact. Custom made devices are then created from these models. For many conditions, this is an acceptable tradeoff. Advantages: Cheaper than fully customised options. All variables such as orthotic thickness, angle of correction, width, flexibility, etc are prescribed to best suit you by our podiatrists. Disadvantages: Not as specific to you as plaster casting of your feet would allow. Copythotic™: The third is our patented (pending) Copythoticª technique which relies on reinterpreting an existing orthotic device to create a totally new orthotic. As most information we need about you has already been captured in your orthotic device, creating a Copythotic™ can be up to 60% cheaper than your original orthotics were. We can work with orthotics that were made by other practitioners and can modify the orthotic to a moderate degree to correct errors in the original device. Softer orthotic options: Copythotic™: Copythotics can an be as hard or as soft as you require. A Copythotic™ is made from a range of orthotic materials and in combining these, can be made anywhere on the firmness continuum. We have found that around 40% of our customers elect to get Copythotics because their previous devices have been uncomfortably hard. Copythotic™: Copythotics can be made literally to any size we wish. Any orthotic can be reinterpreted to fit into 95% of shoe possibilities. In saying this, some options will reduce the efficiency of the device and individual assessment is necessary. 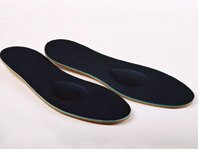 Lesser orthotic options: Custom made padded insoles: Our podiatry clinics still makes traditional padded insoles which can be very useful for addressing pressure areas, relieving corns and treating milder mechanical complaints.